It’s not easy trying to will something into existence if your hands are tied elsewhere. This is something that became apparent to me when Munin managed to take nearly half a decade before it even started actual full development. As they say, “life is what happens to you while you’re busy making other plans” and life certainly does tend to get in the way of things. There’s bills to pay, family, friends, love or even sheer tiredness that make it difficult to spend time on that side project you’d wish to turn into your living. For all the plans one might have, there’s just no way to get a project off the ground unless everyone’s on board and willing to put in time. 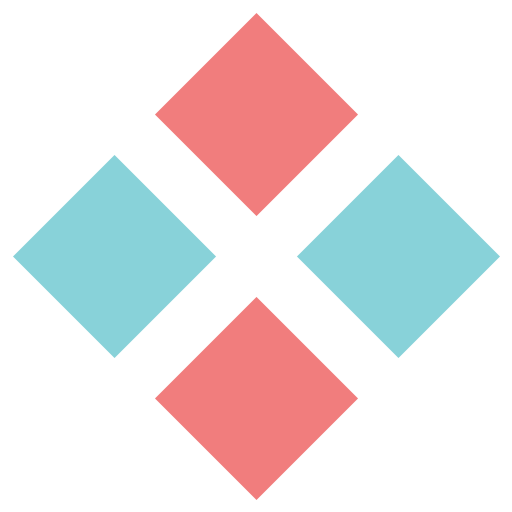 Having firsthand experience with that, it became clear that for our next project (the next big one at least) we were going to need funding to allow us all to take some time off and focus on what we love to do – games. Gamescom 2015 was coming up, but first, we needed to sort out a very basic problem – what game do we want to make? It’s not like we didn’t have anything done or planned, on the contrary, we had too many ideas. And instead of taking a handful of general ideas to a publisher (that’s a very easy way to get the biggest eye-roll in a meeting by the way, don’t do that), we wanted to focus on choosing a project that could get everybody pumped up and make a demo to take to Gamescom in Summer 2015. Choosing the right project wasn’t that hard, given that we had some ideas that the team liked, it was just a matter of deciding the order on which to execute on them. Project scale and difficulty ended up being the major deciders so we went with something a little out of our comfort zones but not too much – we wanted to make a multiplayer game (challenge number 1) and we wanted to play with full 3D environments (challenge number 2). 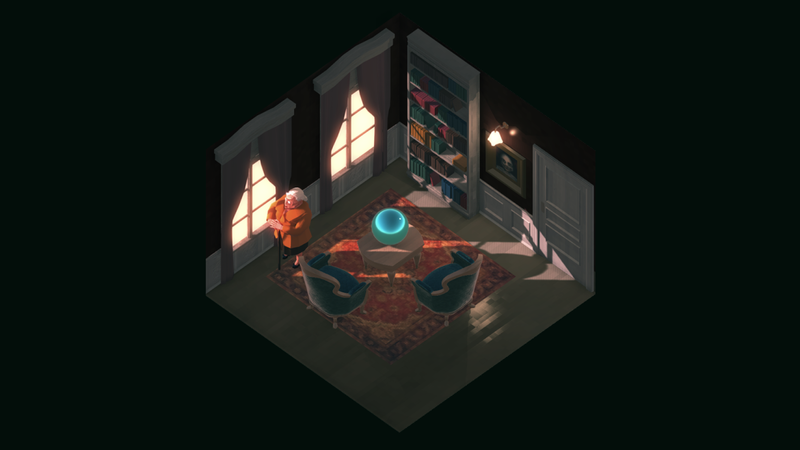 What if we make a multiplayer murder mystery but it would play as if players were actually in a single player adventure game with dialogue trees and inventory gameplay? Enter A Game of Murder. 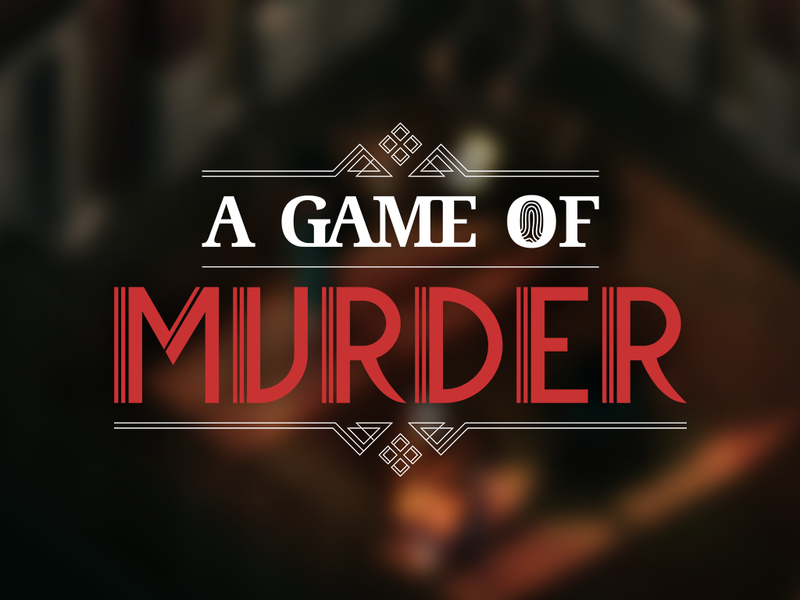 The game pits a group of investigators in a race against time to find the murderer hiding among them. The game is about a battle of wits which pits an informed minority against a uninformed majority in an online multiplayer murder mystery setting. The idea was simple but the logistics and design required were more complex than they seemed. You can’t expect players to behave like NPCs all the time so the notion of translating single player conventions to multiplayer is worrisome at best. But it was also the appeal to it – trying to achieve something that we never saw done in a videogame or at least, not in the way or the extension that we’d like it to. That alone got us on a creative high and made us leap into work straight away. Also, did I mention that, by then, there were only two months left until Gamescom? Yeah, that little pace monster probably also helped. Logistics wise, we needed 3D artists. I dabble in a bit of everything I can get my hands on but trying to make everything myself and with little to no expertise on the matter would prove very unfruitful. Fortunately and making use of my cliché superpowers, I knew a guy who knew a guy and so, Pedro Pereira was quickly added to this 2 month expedition into madness as an Environment Artist. We also still needed a character artist, so we ended up getting help from Gonçalo, a friend of Ricardo and Ana, and Miguel, a spontaneous candidature to our team that appeared out of nowhere to save our asses. With the base style for the game defined, I started worrying about building the full Old Mansion level, one of our playable locations, and getting the early UI and Gameplay design into place. João, our programmer, sunk his teeth into movement and object interaction and Ana drew some concepts for our characters that would come in useful for the modellers. Meanwhile, Pedro continued his trade by modelling furniture with way more polygons than needed in places that would never get seen from our camera angle. Goddamnit Pedro. With development on its way, it was time to focus on the immediate goal – Gamescom 2015. By virtue of our lives, Ricardo and I met when we both ended up contributing for a relevant game journalism site in Portugal – Rubber Chicken. Given the fact that Rubber Chicken was going to cover Gamescom, the event seemed like the perfect natural solution to our mutual needs. 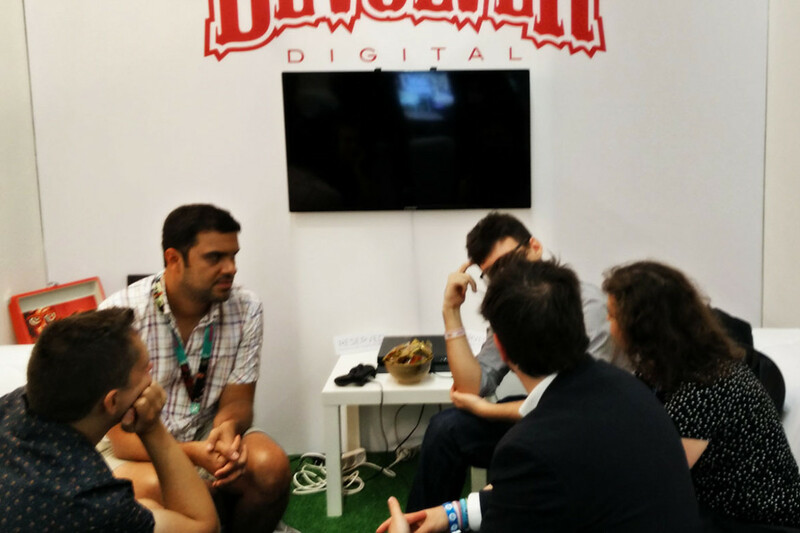 While arranging for interviews and press meetings for Gamescom, Ricardo took the time to start contacting some publishers that might be interested in publishing our games and arranging for a couple of meetings in between the gaps when he wasn’t covering the event. We made our preparations for the trip and the stage was set – Ricardo and a whole batch of “chickens” would go to Cologne and Ana and I would also tag along for the Indigent Studio business matters. Sweet. Now we needed to work hard for the remainder of those days until we had something worth showing at the event. Can someone please stop pressing the panic button? As some of you might know, two months worth of development time is practically nothing when you are starting a big project from scratch. Naturally, I was worried. But then again, I’d be worried no matter what. I tend to worry. I’m a worrier. But if there’s something that is apparent from our work together in the past, it is that we do it well and we do it fast. We could achieve this. At some point nearing the end stage, it became an issue trying to figure out how to have a multiplayer demo working for an event where we didn’t have any idea if we were going to get a stable internet connection. Also, trying to coordinate the demo with a couple of guys in both Portugal and Canada would be a huge drag. We needed a better and faster approach, so we ended up creating a detailed gameplay video explaining the game to publishers and showing what we achieved in these two months. We finished the final cut of the video two days prior of our travel date, along with design documents, production plans and budget scenarios ready to be scrutinized. To help with our needs I put up the most relevant information on a page on our site along with the video and some media for publishers to check after the event. As a finishing touch, we ended up making these handcrafted A6 envelopes, in the same style of our 20s setting, with the address and password for that page and distributed them on the end of our publisher meetings. As I write this, the whole Gamescom ordeal is in the past, so I can attest that, despite being nervous and overstimulated out of my mind, it went great. The envelopes were a nice touch, we were told, and the general consensus seemed to be that the game idea and visuals were something more than worth exploring. In one of the meetings, a guy from that publisher’s marketing team seemed to get so excited by the concept that he started selling the game for us to one of his superiors. It was quite the riot to say the least. We made friends, we went for a beer and even got a very surprising proposal from one of our idols (more on that later). All in all, it was more than worth the trip and we left more experienced and knowing more about the ins and outs of selling a game. Reality hits when you get back home and play the waiting game. As we’ve learned before with our past project, a publisher liking your game doesn’t really translate into a business proposal for a varied number of reasons. Waiting is what you do, you follow-up on it as best as you can and you wait for that one in a million shot to stick. As of now, we’re still waiting to hear the thud from that shot but we’re very pleased with everything and very hopeful towards our future. Bring on that horizon, for tomorrow seems so far away. This game is currently on hold until we manage to find a publisher who will help us fund it.